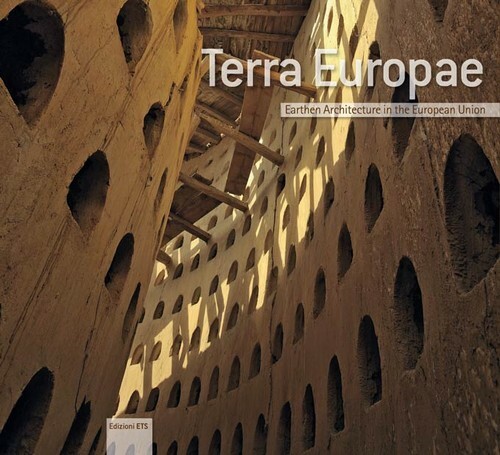 Terra Europae - Earthen Architecture in the European Union is a scientific publication, resulting from an intensive and valued teamwork of 50 authors that generated exclusive maps and texts from different regions and countries of the European Union. The outcomes were systematically and consistently combined to create a relevant overview of the state-of-art of earthen architecture in Europe. The publication opens with a photography summary of earthen historical heritage and contemporary architecture in Europe today. It presents an overview of 7 European regions, complemented by 27 articles from all European Union countries. To complete this broad publication, and as a result of the scientifi c missions, a comprehensive cartography of European earthen heritage is offered. This book is the result of a common effort gathered by Ecole d'Avignon (France), Escola Superior Gallaecia (Portugal), Universitat Politècnica de València (Spain), Università degli Studi di Firenze (Italy) and CAUE-Conseil d'Architecture, d'Urbanisme et de l'Environnement of Vaucluse (France). European partners in the Culture 2007-2013 programme, through the Terra [In]cognita research project developed between 2009 and 2011. The project gathered experts that contributed to create an awareness of their country's heritage and brought inspiration to launch research, to go beyond and to discover the unrevealed European earthen heritage and contemporary earthen architecture.